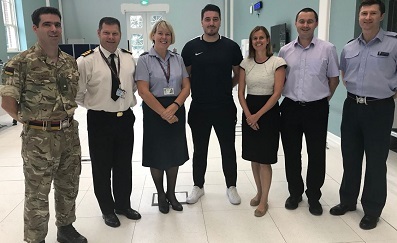 The first patients have been admitted to the new Defence Medical Rehabilitation Centre (DMRC), located at the Defence and National Rehabilitation Centre (DNRC) at Stanford Hall near Loughborough. Previously at Headley Court in Surrey, military outpatients are being treated for the first time at the world’s best clinical rehabilitation centres for the British Armed Forces. Congratulations to the DMRC team who have worked tirelessly to provide world-class care for their patients. The next exciting chapter of military rehabilitation begins! Summit Medical and Scientific were proud to install the world’s most advanced gait lab, Motek‘s Computer Assisted Rehabilitation Environment (CAREN), at the DNRC earlier this year. This will be used to rehabilitate patients onsite, read more.